At Brighter Concepts, Ltd., we’re ready for anything. That’s why our factory-certified installation consultants carry the full line of Solatube products on their vans at all times. Want to get your new daylighting system installed today? We can do that. Eager to see all your Solatube Decorative Fixture choices? We can do that. Hoping to upgrade your system with a Daylight Dimmer? We can do that. Tubular Daylighting Devices (TDD) cost considerably less than other daylighting options, such as windows and traditional skylights. However, all Tubular Daylighting Devices are not equal! Solatube® TDD's are the best in the industry. We are the brightest and we have many features that other TDD’s do not have. Ask us for more information. Please contact Brighter Concepts Ltd. for a quote. We can usually get within $60.00 either side of your final cost just by asking you a few questions. It is worthwhile to note that in most cases, Brighter Concepts Ltd. can consult with you, in your home, on diameter, length & placement AND complete the installation ALL ON THE SAME DAY. The 160 ds is best for areas about 10' x 10' or under. The installed price starts at $577. The 290 ds is best for rooms about 14' x 14' or under. This installed unit starts at $717. The 1200 solar star installs for $557. The 1600 unit is $724. Both units qualify for a 30% federal income tax credit, and we also give discounts if you install the same day as a Solatube. 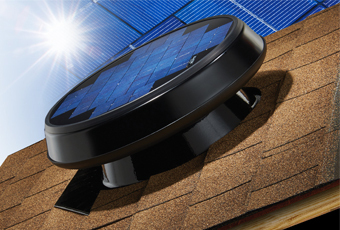 Get an instant $75 rebate when you have a Solar Star Attic Fan installed at the same time as a Solatube - save even more with a 30% tax credit. Warranty Description: Brighter Concepts, Ltd. ("BC") warrants to the homeowner that the installation of products by BC will be free of defective workmanship for 10 years from the installation date. Should the workmanship related to any BC installation be deemed defective, BC will, in its sole discretion, (1) repair the defective installation of product; or (2) repair or replace the defectively-installed product. Purchaser shall give BC written notice of defect within 7 days of discovery in order to enforce this warranty. BC is entitled to limit the scope of this warranty at the time of installation based on the condition of purchaser's roof. Any such limitations shall be set forth in writing by BC at the time of installation. This limited installation warranty is in addition to any and all product warranties offered to purchaser by Solatube International, Inc. ("SI") at the time of purchase. Who Is Covered:This warranty extends only to the owner of the home in which the Solatube, Solar Star and Sola Master products manufactured by SI have been installed by BC. The warranty starts on the date of installation and remains effective for a period of 10 years. This warranty is transferable. It is void after re-roofs or after any work that results in disturbances to the installed product or product seal by any company or person other than BC. Limitations on Remedies:Except as expressly set forth herein, the products are installed by BC "as is", without any warranties, express or implied, including, without limitation, all warranties of merchantability and fitness for a particular purpose. Any and all such warranties are expressly disclaimed. In no event will BC be liable for loss of profits, indirect, special, incidental, consequential or similar damages. To the fullest extent allowed by law, BC's liability to purchaser for any and all claims shall be limited to what is set forth in this written warranty. If your Solatube product stops performing like you expect due to defects in workmanship or materials over the 10-year warranty period, Solatube International, Inc. will repair or replace it…guaranteed.